Home › Delhi High Court › Maintenance › Monetary Reliefs › Protection of Women from Domestic Violence Act 2005 › Section 125 Cr.P.C. 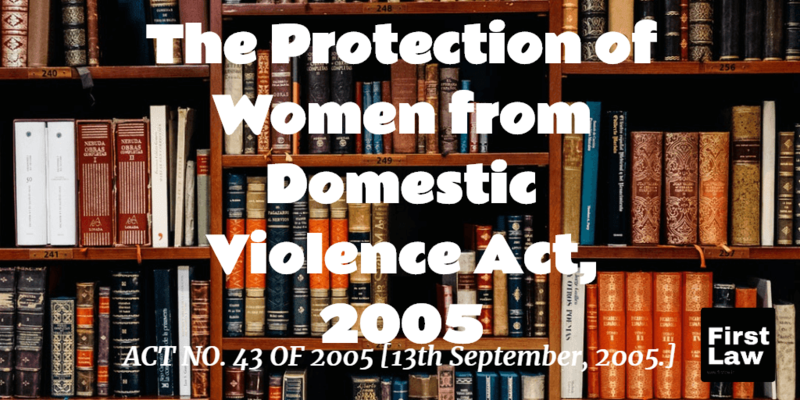 The Code of Criminal Procedure, 1973 – Section 125 - The Protection of Women from Domestic Violence Act, 2005 - Sections 20 and 23 - Monetary Reliefs - An order under Section 20 DV Act is not restricted by an order under section 125 Cr.P.C. The Code of Criminal Procedure, 1973 – Section 125 - The Protection of Women from Domestic Violence Act, 2005 - Sections 20 and 23 - Monetary relief under Section 20 DV Act is in addition to maintenance under section 125 Cr.P.C. The Protection of Women from Domestic Violence Act, 2005 - Sections 20 and 23 - Monetary relief as stipulated under Section 20 is different from maintenance, which can be in addition to an order of maintenance under Section 125 Cr.P.C. or any other law. For the Petitioner : Ms. Geeta Luthra, Sr. Advocate with Mr. Sanjay Abbot, Mr. Altamish Siddiki and Ms. Shivani Luthra Lohiya, Advocates. For the Respondents: Mr. Madhav Khurana with Ms. Trisha Mittal, Advocates with respondent in person. 7. By the impugned order the appellate court held that the trial court had not considered the judgements of the Supreme Court as well as this court wherein it had been laid down that both Cr.P.C. 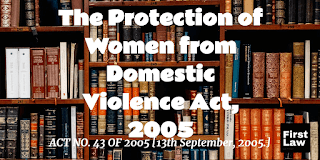 and DV Act provided concurrent jurisdiction and the relief under section 12 of the DV Act was in addition to any relief which could be granted by any court of law in any forum. Noticing the fact that the trial court had not considered the law as laid down, the appellate court remitted the matter to the trial court to reconsider the relief sought for by the respondent. 11. Further it is submitted that the maintenance granted under section 125 Cr.P.C. does not put an embargo on the court to pass an order granting monetary relief under the provisions of DV Act. Reliance is placed on the decision of another coordinate bench in Karamchand & Ors Vs State NCT of Delhi & Anr (2011) 181 DLT 494. 13. In the subject proceedings under the DV Act, the Trial Court by order dated 06.04.2018 declined to grant any monetary relief to the Respondent – wife holding that that all the heads for which the maintenance was being sought had been considered by the Family Court while passing the said orders and as she had already moved to Court and her right of maintenance had been adjudicated by a competent Court, for any enhancement of maintenance already granted, she would have to move the same Court. With regard to residence order, the Trial Court held that although she had prayed for entry into the shared household but during arguments her counsel had submitted that the husband be directed to pay for the rent of the rented premises. The Trial Court held that the Family Court in by order dated 23.01.2017 had already considered the rent for the rented accommodation while assessing interim maintenance at Rs. 1,20,000/- per month. 18. This clearly shows that an order under Section 20 DV Act is not restricted by an order under section 125 Cr.P.C.. The Trial Court clearly erred in not appreciating the distinction between the two provisions and the reasoning is clouded by an impression that the respondent – wife in the application under section 23 was only seeking an order of maintenance, which is not the case. In her application under section 23 of the DV Act, the respondent wife has inter-alia sought residence rights under Section 19 and protection under Section 18 apart from the monetary relief under Section 20. 21. The Judgment in the case of Rachna Katuria Versus Ramesh Kathuria (supra) relied upon by learned Senior Counsel for the Petitioner to contend that DV Act does not create any additional right to claim maintenance on the part of the aggrieved person and if a woman had already filed a suit claiming maintenance and after adjudication maintenance has been determined, she does not have a right to claim additional maintenance under the DV Act is per incurium as it does not notice the very provisions of Section 20 and 23 of DV Act. Further now the Supreme Court of India in Juveria Abdul Majid Khan Patni Vs Atif Iqbal Masoori (supra) has held that monetary relief under Section 20 DV Act is in addition to maintenance under section 125 Cr.P.C..
23. Order Dasti under signatures of Court Master. Label: Delhi High Court Maintenance Monetary Reliefs Protection of Women from Domestic Violence Act 2005 Section 125 Cr.P.C.